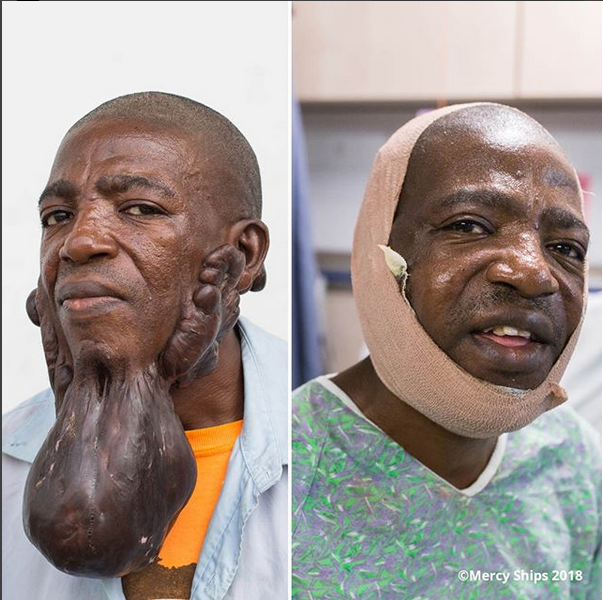 A man is perhaps the happiest man in the world presently after undergoing a surgery to correct a huge tumor on his face. 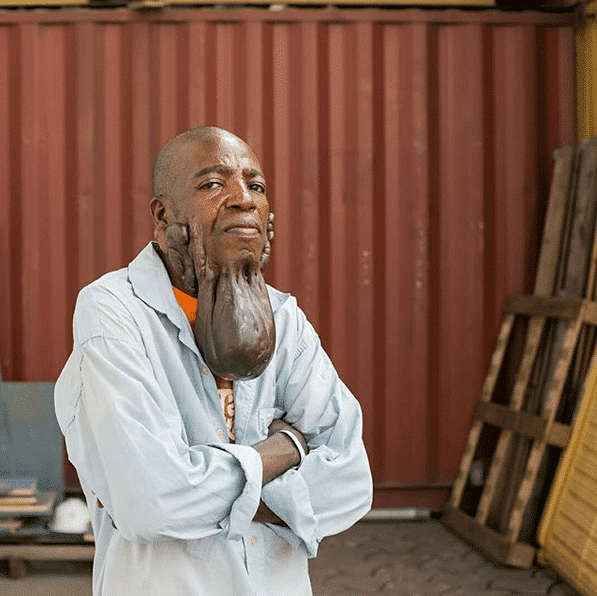 It was gathered that the growth started as a minor flesh wound after a motorcycle accident 15 years ago, which later developed into a keloid tumor that took over Leon’s life. The man is reportedly still recuperating from the successful surgery as he’s been given a reason to smile again.